UPDATE: Yes, this was an April Fools joke! I’ve become a "fan" of conservative Aussie opposition leader Malcom Turnbull on Facebook. 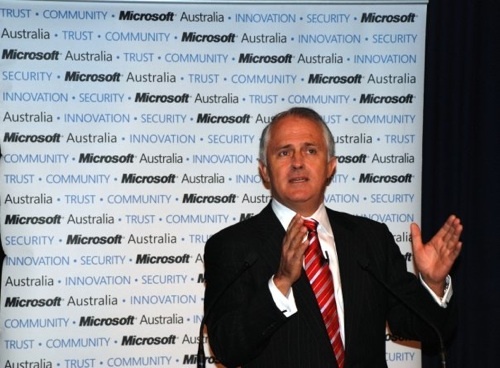 This photo of him presenting behind a Microsoft sign that says Innovation, Community, Trust and Security in Canberra cinched it for me. Microsoft especially for me has always been about Trust and Security, but I wish they could have made room for Modest and Humble too. Microsoft and The Coalition [Wikipedia]… Australia needs both and needs both now! Newer post ← I just finished installing Movable Type 4!